Here is another Rosina tea cup with another beautiful spring flower! 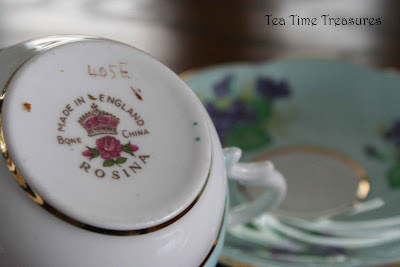 I found it the same day I found the other Rosina tea cup I featured in my last post. You can visit Martha's Favorites and Artful Affirmations to see more beautiful tea cups! Oh that is a sweet Rosina cup! I love violets, and this cup has really pretty ones on it. Thanks so much for sharing this cup with us. Gorgeous! just gorgeous! I adore violets on tea things! 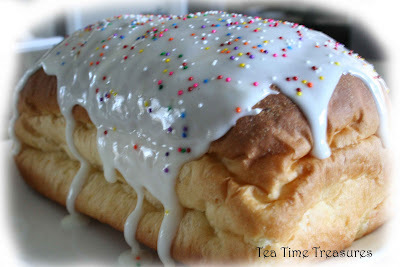 the soft blue color is wonderful and your treat looks scrumptious...now I'm hungry. You have a lovely collection! 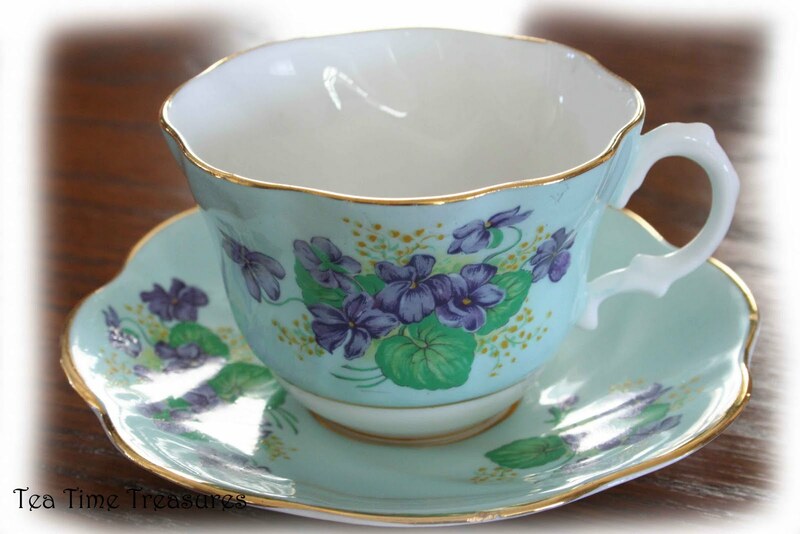 This is a very pretty teacup, the violets especially.The tea time sweet looks so delicious, but the verse you posted is most precious. Thank-you!